Check out the gray Trianon canvas, the Louis Vuitton trunk (1854) that preceded the designs of the very eminent Damier and Monogram patterns. It was the first of its kind during that time, an innovation like no other, noted for being the first trunk with a flat top. This innovative flat top provided stackablity unlike the usual rounded tops of that era (designed to roll off rainwater), while the grey was the color of beauty at the time in Paris. 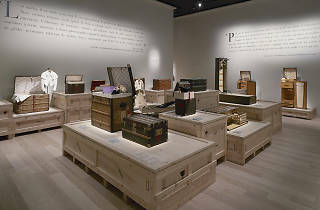 This grey Trianon canvas trunk is in display at Louis Vuitton’s second exhibition in Seoul and they are here to introduce their historic legacy in creating and innovating objects of storage. 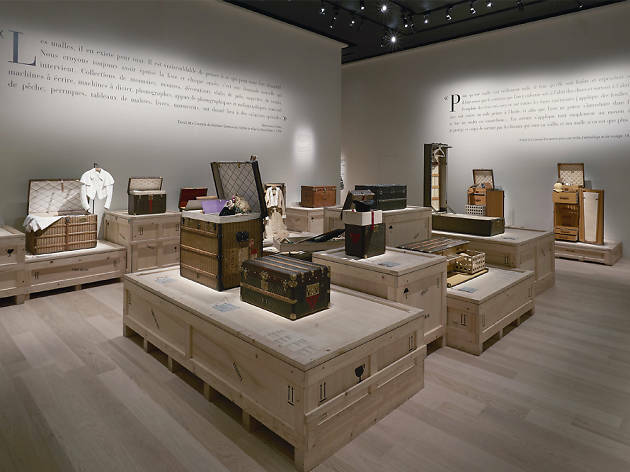 It is an exhilarating exhibition that walks you through the archives of the brand in ways that depict the story of affluent traveling from back in the day. 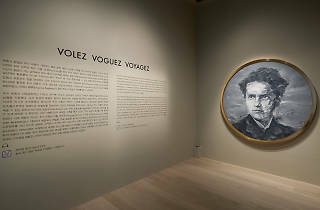 It is obvious that Louis Vuitton made the effort to exuding their dignified image through Volez, Voguez, Voyagez by putting the notion of luxury and heritage first. 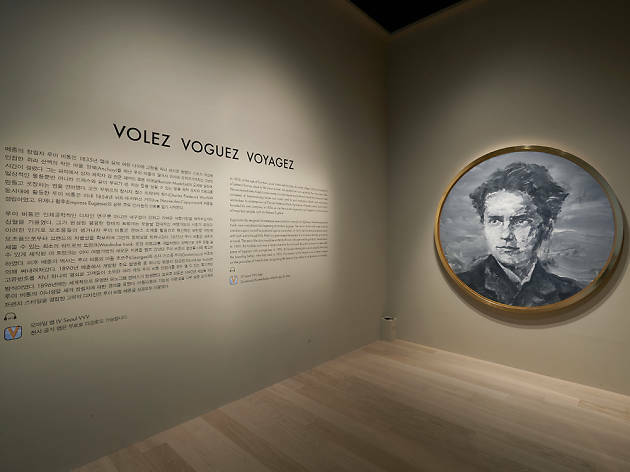 Having shown in Tokyo, Hong Kong, London and Paris before arriving in Seoul, the exhibition tells the chronological story of Louis Vuitton’s journey through 10 visually stunning chapters, with the last one dedicated to Korea. 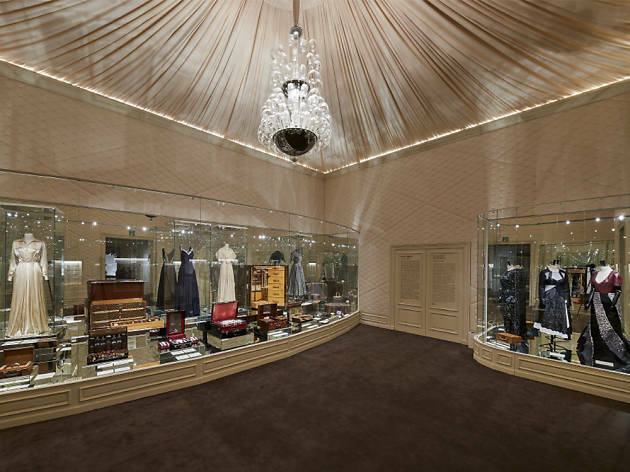 The level of finesse found throughout the exhibition speaks of the brand’s dedication to nobility, making you gasp with awe upon entering each section. 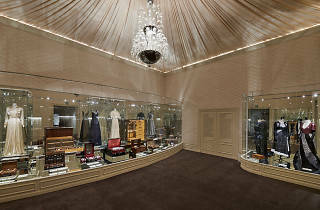 The rooms are all filled with historic glamor from floor to ceiling with each one having its own unique ambiance. Your spirits will feel uplifted, making you feel as though you are a foreign dignitary back in the 1800’s traveling to Paris in the highest form of grace. 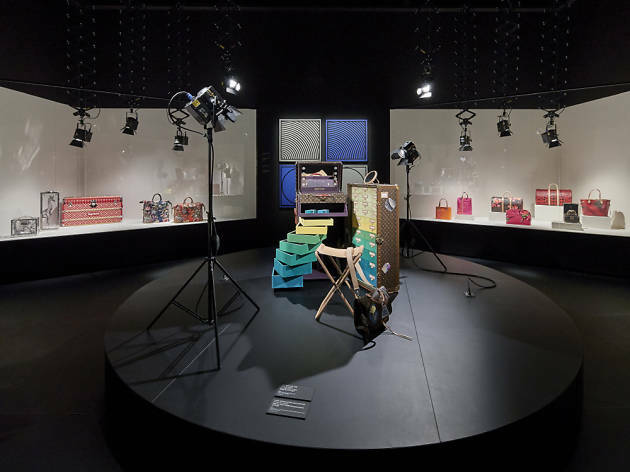 The evolution of Louis Vuitton observed in the exhibit is also impressive. For example the LV logo, that is so widely known today, can be seen on the classic wooden trunks dating back to the earliest stages of the house. As Gaston (Louis’ son) took over the brand after his father’s death, you will be able to see typographical sketches of the LV logo being experimented to add a G. In some ways it is humorous as Gaston’s ambitions are clearly seen through the new logos that stray so far away from the perfectly juxtaposed L and V. Following are artist collaboration projects that once again display a unique approach into the brand's image, just like the addition of color and animated eyeballs into the iconic monogram pattern from Japanese artist Takashi Murakami. 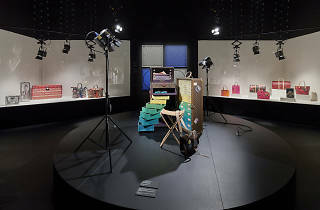 Ending with a room named Inspirational Korea, Louis Vuitton’s effort to appear closer to Korea’s audience deems a little forced but amicably received. The beautiful background decorated with hanji (traditional paper made with mulberry bark) surrounding the dark and moody room exudes a formal yet simplistic Korean attitude, reminiscent of an aristocrat’s hanok. Walking out into the make shift ateliers named Savoire-Faire, you can catch a glimpse of real craftspersonship and dedication that have brought such delicate masterpieces into life. The well laid-out exhibition deserves to be seen with a docent, which requires a reservation online. This is highly recommended as untold stories and facts about Louis Vuitton will make the experience much more informative.